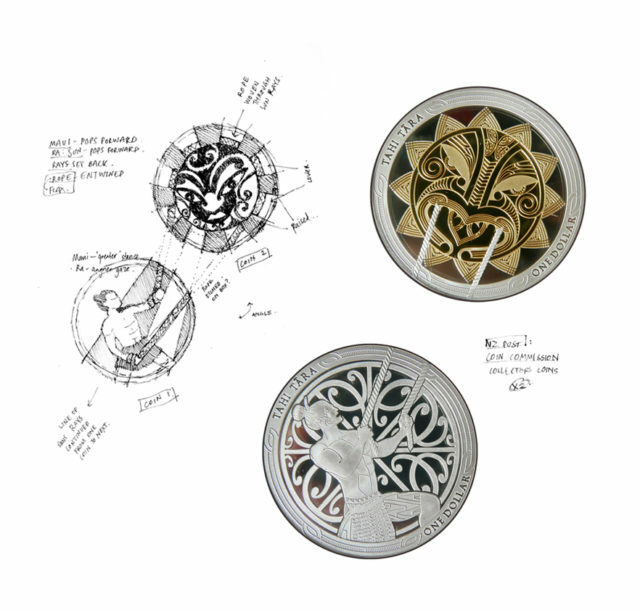 Commission by NZ post to design 2 collectors coins depicting how Maui slowed the sun. The set is available in silver (as shown) or gold. This image includes an early sketch I produced during the design development phase. Designed in collaboration with David Hakaraia.